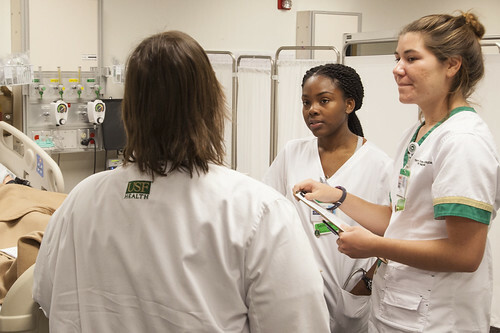 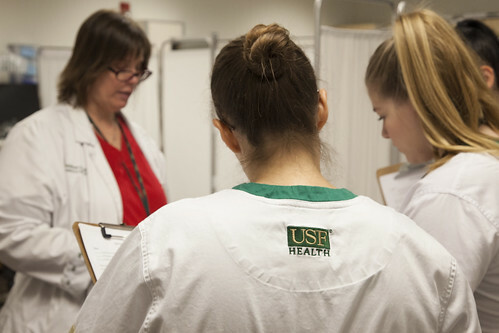 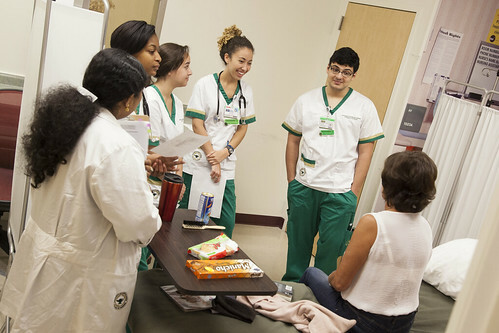 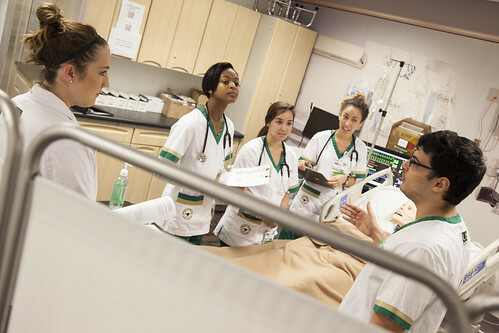 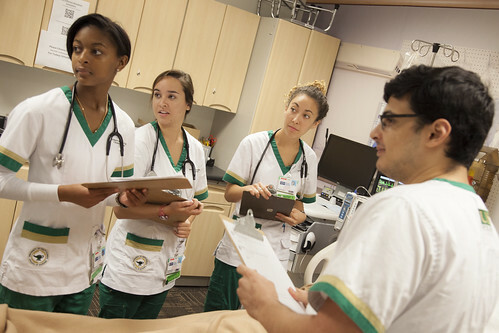 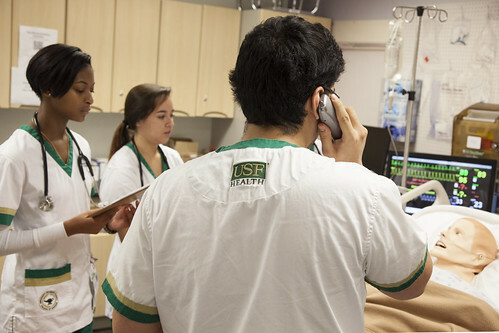 The USF College of Nursing’s simulation team showcased the latest in experiential learning during an open house on Sept. 20. 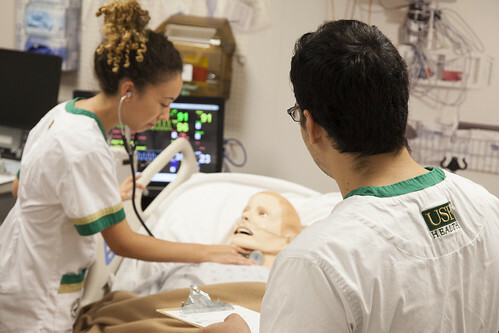 The event recognized Health Care Simulation Week, a worldwide celebration organized by the Society for Simulation in Healthcare to promote simulation technology and how it connects science and health care. 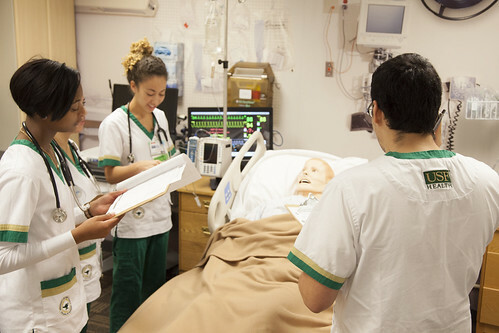 During the hands-on tours, participants had a chance to test-drive the college’s state-of-the-art simulation teaching tool — the CAE VimedixAR with Microsoft HoloLens. 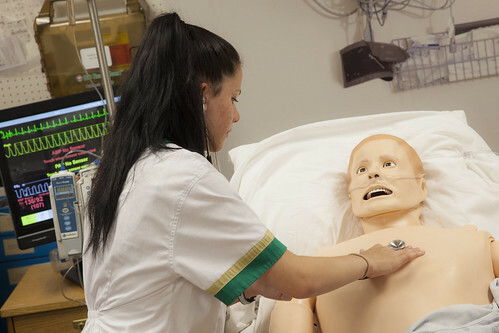 Instructors in the simulation lab demonstrated how the ultrasound simulator works. 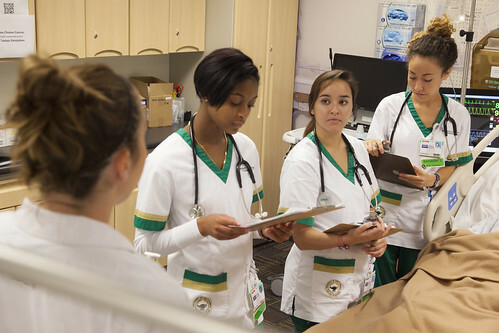 The augmented reality technology projects 3-D holographic images and allows users wearing the HoloLens headgear to visualize layers of complex organs and body systems. 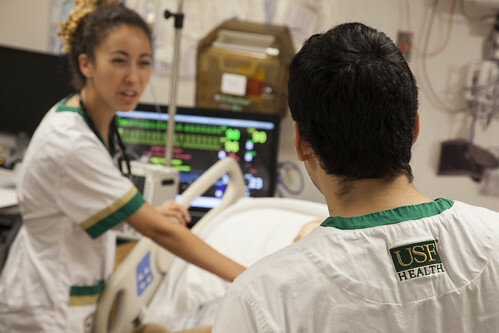 Wearers can peer inside the holographic layers of the circulatory, respiratory, and skeletal structures. 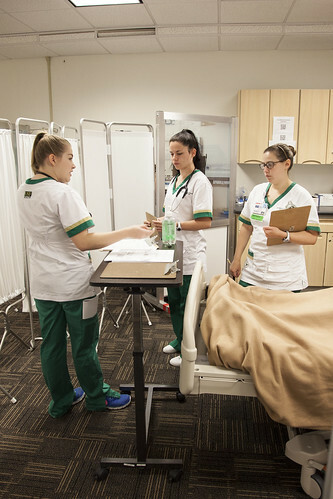 The innovative technology allows users to pinch the hologram and enlarge, minimize, or rotate it to see how its structures are interrelated. 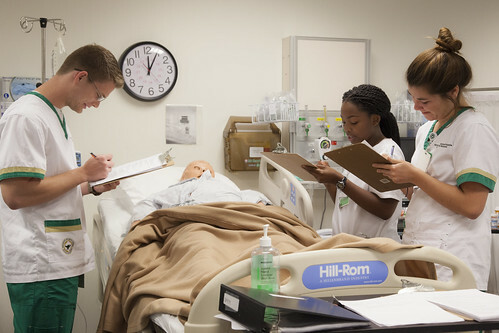 Corey Sargent, operations specialist in the college’s Center for Experiential Learning and Simulation, helped direct students and staff as they tried on the HoloLens headgear. 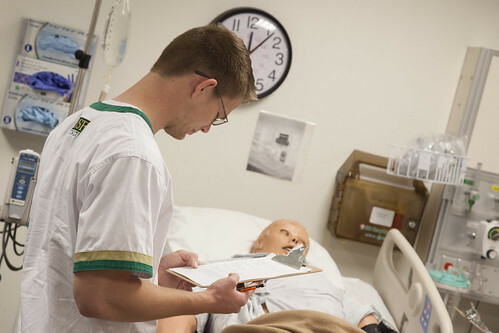 Sargent recently became a Certified Healthcare Simulation Operations Specialist (CHSOS), a designation awarded through the Society for Simulation in Healthcare. 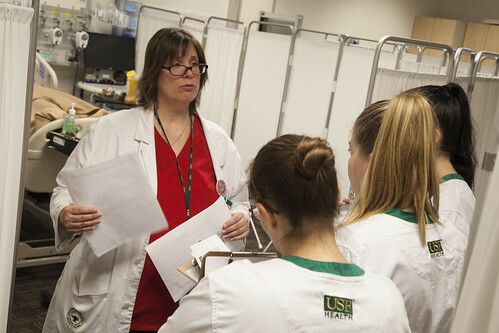 USF simulation educators said Sargent’s new certification will translate into better student outcomes. 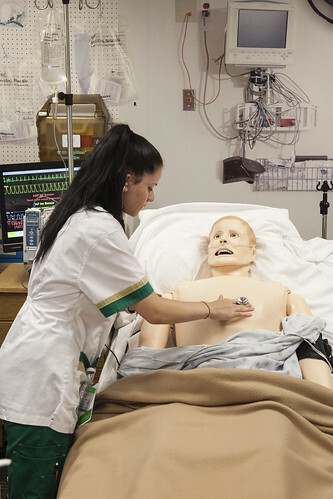 For example, the certification allows Sargent to run the simulation manikins more effectively, which will give faculty more one-on-one time with nursing students and allow them to concentrate on the observation of the students within the simulated environment. 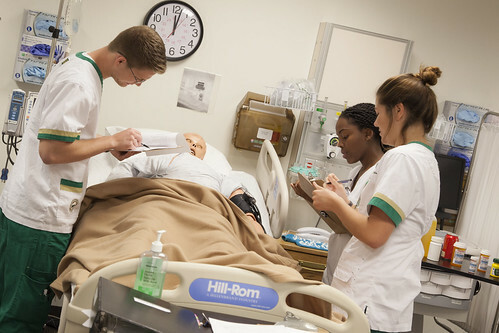 The professional designation comes at a time when members of the college’s simulation team are earning more specialized certifications. 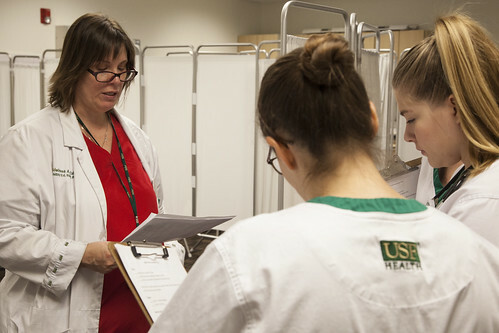 Dr. Gore, PhD, DNP, was recently recognized by the Society for Simulation in Healthcare for achieving the Certified Healthcare Simulation Educator-Advanced (CHSE-A) designation. 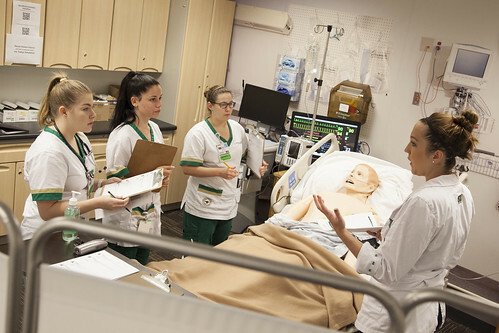 The CHSE-A credentials is a portfolio-based certification for leaders in health care simulation. 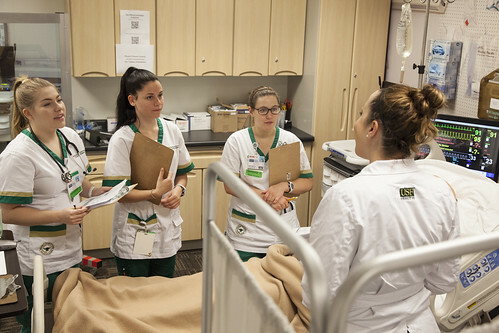 This designation distinguishes those health care professionals who have proven themselves to be advanced in the practice of health care simulation, enabling them to serve as mentors in the field.